Having inherited her father’s vast fortune in 1858, Maria Cassavetti Zambaco, a British artist and model of Greek descent, led a more independent life than most women of her time. She was even known to go about unchaperoned while still unmarried. Zambaco’s love life was rather chaotic. In her teens she was wooed by George du Maurier, satirical cartoonist and grandfather of Daphne; when she showed no interest in him, du Maurier described her as ‘rude and unapproachable but of great talent and a really wonderful beauty’. Aged 18, she married Dr. Demetrius Zambaco, who was eleven years her senior. They had two children together but the marriage was not a success and she moved back to her mother after six years. In 1866, Zambaco met Edward Burne-Jones when her mother commissioned him to paint her. As the subject was left to him, he chose an episode from Cupid and Psyche, which he worked on for several months. Although Burne-Jones was married at the time, he embarked on a tempestuous affair with Zambaco that lasted several years. 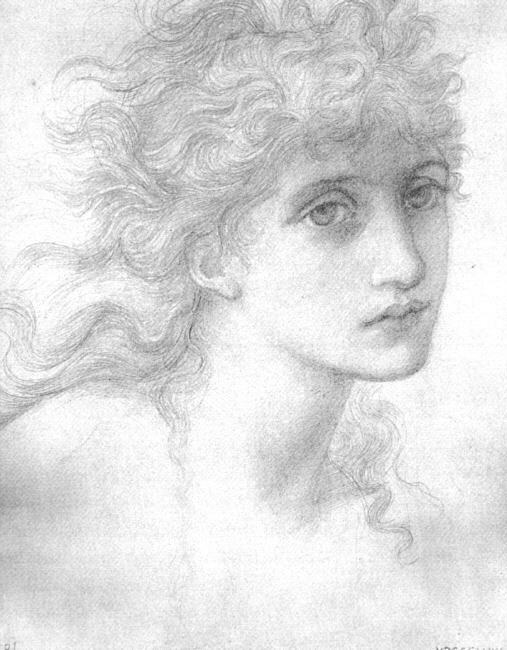 Burne-Jones treated Zambaco as a peer. They read Homer and Virgil together and she trained as an artist under him. She also sat as a model for some of his most iconic paintings including The Beguiling of Merlin, one of Oscar Wilde’s favourites. Zambaco repeatedly tried to persuade Burne-Jones to leave his wife but he refused and she is rumoured to have involved him in a suicide pact, convincing him to wade into the canal in Regent’s Park with her. The attempt failed and the affair ended, but they remained friends afterwards and she was by far his most influential muse. Zambaco also sat as a model for artists George Frederick Watts, James McNeill Whistler and Dante Gabriel Rossetti, but she became more interested in developing her own artistic talent and produced award winning sculptural works. Naturally, since she features here and in my book Wilde’s Women, Zambaco had a connection to Oscar Wilde. She lived much of her life in Paris and presided over an important artistic salon. It was she who introduced Oscar Wilde to his friend and biographer Robert Sherard. Years earlier, when writing about Burne-Jones’s The Beguiling of Merlin, Wilde had described Zambaco as ‘a tall, lithe woman, beautiful and subtle to look on, like a snake’. For more on Edward Burne-Jones and his relationship with Maria Casavetti Zambaco you can read Fiona MacCarthy’s book ‘The Last Pre-Raphaelite’. There’s an extract here. There is also a brilliant online exhibition of her work and that of her contemporaries Aglaia (née Ionides) Coronio (1834-1906)and Marie (née Spartali) Stillman (1843-1927) available via the University of York here. Together these women were known as ‘The Three Graces’. 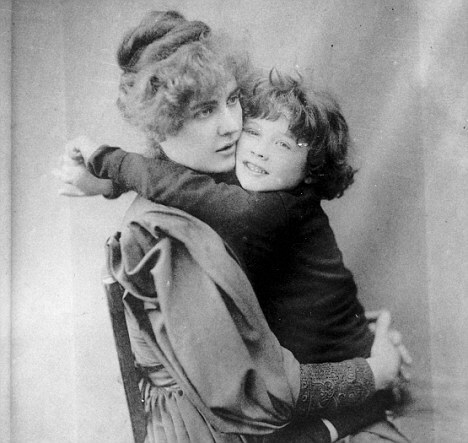 To commemorate the death of Thomas Hardy on 11 January 1928, I’m going to take a break from writing about Oscar Wilde’s mother, Jane, to write instead about Hardy’s mother, Jemima. Jemima, a former maidservant and cook from an impoverished and volatile Dorset family, acquired a love of reading from her own mother, Elizabeth ‘Betty’ Hand. Her sophisticated literary tastes ran to Latin poetry and French romances in their English translation, and it was said that Dante’s Divine Comedy was her favourite book. When Jemima was thirteen, she was sent to work as a domestic servant. Aged twenty-six, her marriage to Thomas Hardy, a master mason and building contractor, was arranged by her family when it was discovered that she was pregnant with young Thomas. Happily, their marriage was a stable and contented one. It was Jemima who instilled in her son Thomas a love of literature. She taught him to read and write before he turned four, and she sent him to school from the age of eight to sixteen. When he was ten, she enrolled him in a progressive non-conformist school run by the British and Foreign School Society in Dorchester. There, he learnt Latin and French among other subjects, but his favourite pastime was to read.